We are now a Hewlett Packard Business Partner! Please shop local...We always offer free delivery! Welcome, and thank you for visiting Chesapeake Office Equipment And Maintenance & Calvert Copier. Southern Maryland's premier choice for Office Equipment and Service. 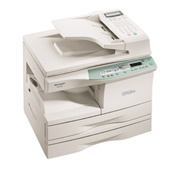 Chesapeake OEM is dedicated to providing the best pricing and service for office equipment to all customers. 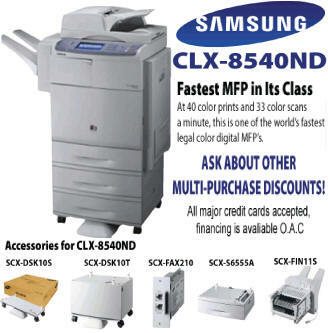 We are Calvert County's only full service office equipment sales and service center. We look forward to serving you. Service areas include, all of Southern Maryland, D.C., Northern VA, and Suburban MD. 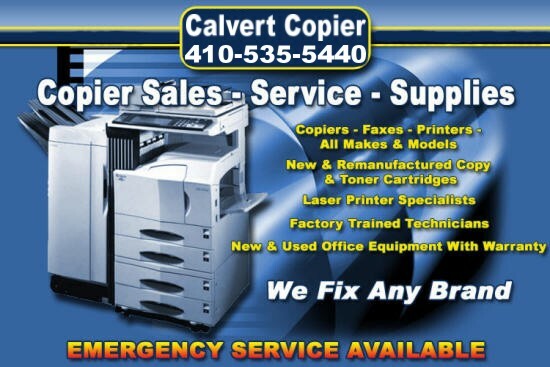 CalvertCopier.com and Chesapeake OEM, is a Service-Disabled Veteran Owned & Operated Company. We specialize in Printer, Copier and Fax Machine Repair Service in the DC, Maryland, & Virginia Metro area. Our friendly Technicians stay up-to-date with current Imaging Technologies in order to repair and service your products right, the first time. We provide professional, fast, on-site response service in the Maryland, DC, and Northern Virginia areas. Every service includes a free multi-point inspection by a Certified Technician. We take great pride in our unparalleled on site response time and the high level of Customer Service. We have No Hourly Rate. Just a One-Time Flat Fee (Parts Not Included) and we don't charge for travel time! Thank you for visiting Chesapeake Office Equipment And Maintenance & Calvert Copier. Southern Maryland's premier choice for Office Equipment and Service. Chesapeake OEM is dedicated to providing the best pricing and service for office equipment to all customers. If there is something you want, but is not listed, just ask us and we will find it for you. We are a dealer of Canon, Mita, Minolta, Copystar, Sharp, Ricoh products and more, with over twenty-eight of experience in the business equipment industry. Price and availability subject to change without notice. Calvert Copier is not responsible for typographical errors or inaccurate specifications.